Prominent & Leading Manufacturer from Mumbai, we offer promotion counter table. 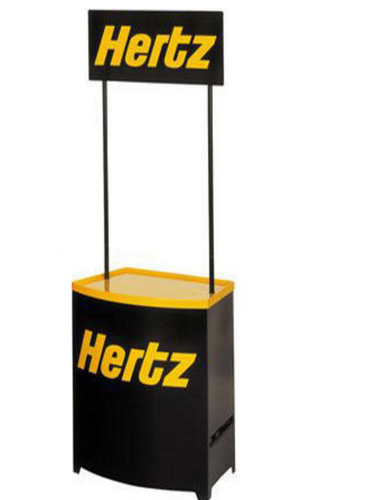 Be it folding type Promotion Counter Table, curved lightweight promotional tables, straight-faced promotional pop-up counter table with graphics or 3-tier circle twist snap up display tables, we manufacture nearly all types of popularly used promotional tables. Our tables are less prone to normal wear & tear owing to the quality material, used in the manufacturing of these. Installation of our promotional tables is quick and easy, enabling people from business fraternity to quickly set/wrap up their promotional stall or event such as promotional stalls in trade fairs etc. We not only have an extensive range of standard promotional tables, if required, we can also make available customized tables built as per the specifications are given by the client.